As RegWatch first reported, a minimum of 250,000 bot submitted fake form-letters that are anti-flavors and anti-vaping in nature overwhelmed servers at Regulations.gov putting the entire public consultation process at risk. FDA could decide to throw out all submissions, including legitimate testimonials, provided by tens of thousands of vapers. The vaping industry is fighting back. The Vapor Technology Association, a leading industry trade group, is running a coordinated public comment campaign to help vapers make an impactful “declaration” to the FDA on why flavors are essential to vaping. In this extended edition of RegWatch, hear from VTA’s executive director Tony Abboud and learn what the strategy is going forward, to save flavors. Modeling work I did about the uptake of e-cigarettes a few years ago (example) suggests that the uptake of a low-risk tobacco product will have two distinct periods of rapid growth. The first is caused by pent-up demand. If you want to defeat smoking, key is to promote or at least allow market to provide rapid, consumer driven innovation. But for government and tobacco control, we’d be much further along. 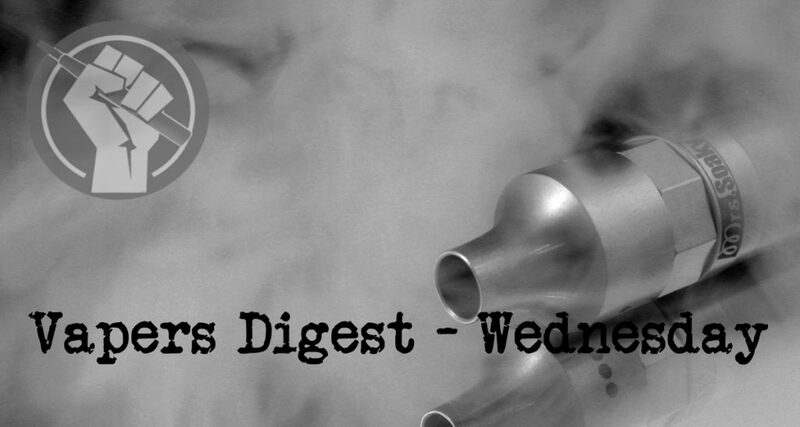 The Medicines and Healthcare products Regulatory Agency (MHRA) in an exclusive interview with Planet Of The Vapes has clarified the position of squonk devices. The upshot, as can be seen below, is that Squonking IS under threat and that the squonk bottle is considered to be an illegally sized atomiser tank. A spokesperson for the MHRA told Planet Of The Vapes: “The statement in the July newsletter is a response to industry and enforcement requests for clarification regarding a small number of products that had caused confusion in the retail market and promote a consistent interpretation of the legislation. Silicon Valley e-cigarette start-up Juul Labs is bringing its small flash drive-sized vaping device to the United Kingdom this week, aiming to reproduce its break-neck U.S. growth overseas. The most popular and controversial American vaping brand is now taking aim at the second-largest vape market in the world. The JUUL went on sale this week in the U.K. — but the product will be significantly different than the device that’s making U.S. tobacco companies shake in their boots. The JUUL starter kit in the U.K. retails for £29.99, which translates to about $10 less than its American counterpart, which costs $49.99. The kits features four JUUL pods, and the flavors look similar to the U.S. versions (the names are slightly different). But the biggest difference is the nicotine content. Vape or E-cigarettes are widely considered to be an alternative way to reduce the effects of traditional cigarette addiction. Despite this, many still suspect that the effects of vaping are as dangerous as smoking a traditional tobacco cigarette. Responding to this issue, Padjajaran University researcher Satriya Wibawa Suhardjo conducted a research on the effects of vaping that was presented in the Global Forum on Nicotinedi Warsawa in Poland on June 14-June 16. A series of recent UK media headlines warning vapers that they are likely to be arrested if they vape abroad, have sparked some panic amongst e-cigarette users. In response to this, a press release by ECigIntelligence, the renowned independent data analysis resource for the tobacco-alternatives industry, aims to reassure vapers that it is mostly safe to use e-cigarettes outside the UK. “Britain’s three million e-cigarette users can safely vape while holidaying abroad this summer, despite alarmist reports that suggest they could end up in prison, a leading research organisation in the field has confirmed,” pointed out the press release. Chatham-Kent will only miss out on a few changes to its smoking laws now that the new provincial government has paused the new Smoke Free Ontario Act, but there is still cause for concern, an official with the Chatham-Kent Public Health Unit has said. Although the Chatham-Kent Board of Health was not set to meet again until September, a special meeting was called Monday to hear how the municipality will be affected following the Progressive Conservative government’s decision earlier this month. Carina Caryn, program manager of chronic disease and injury prevention, said Chatham-Kent already had a “comprehensive bylaw” which covered many of the rules set to be implemented in the new act.